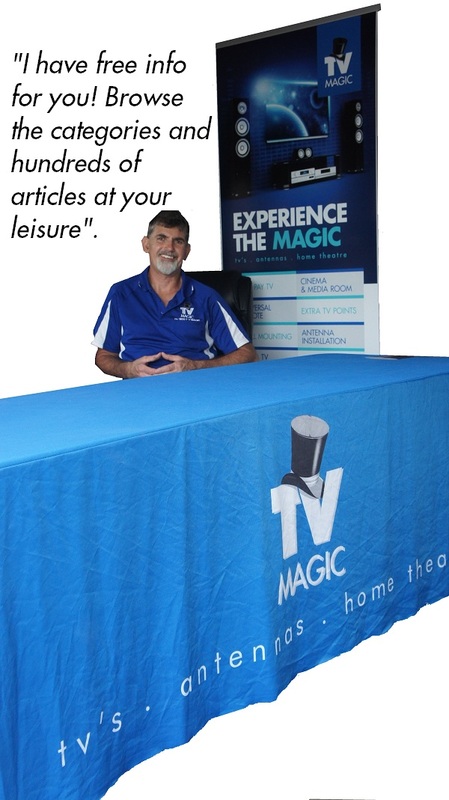 Local tv technicians come to you! TV Magic knows how to connect your laptop to a tv. Call us/contact us online for a free quote! Whilst connecting your laptop to tv is relatively straight forward, if you're using VGA cables or have picture distortion there may be alot more to the job than you first thought. Sometimes, windows configuration is necessary and this is best left to the experts if you have no idea what you're doing. Why not give your eyes a break? By doing your work using a bigger monitor - your tv! Laptop to TV connectivity is not that hard! Most of the time all you need is a: hdmi cable. However, if you have an older laptop you may need a: VGA cable. VGA cable is a analogue signal and will require you to right click on your desktop and configure the monitor out settings whilst HDMI is a 'plug and play' (ready to go) option. Brisbane - Yatala - Wynnum - Cleveland - Ipswich - Oxley - Ascot - Redcliffe - Caboolture - Enoggerra - New Farm - Logan - Mount Gravatt - Jindalee - Graceville - Nundah - Kedron - Browns Plains - Moorooka & everywhere in between!